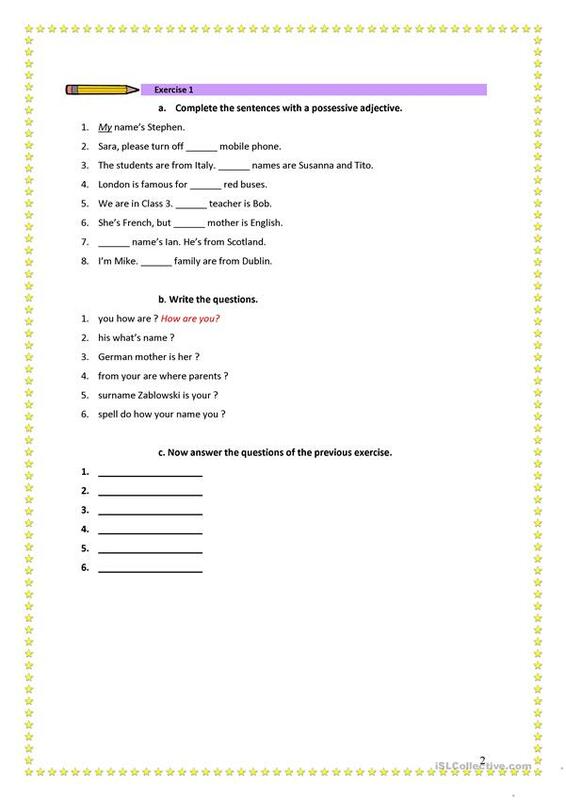 A useful explanation and worksheet to work on possessive adjectives at elementary level. Designed for adults but also useful with other group age. Fully editable. This downloadable worksheet was created for adults at Beginner (pre-A1) level. 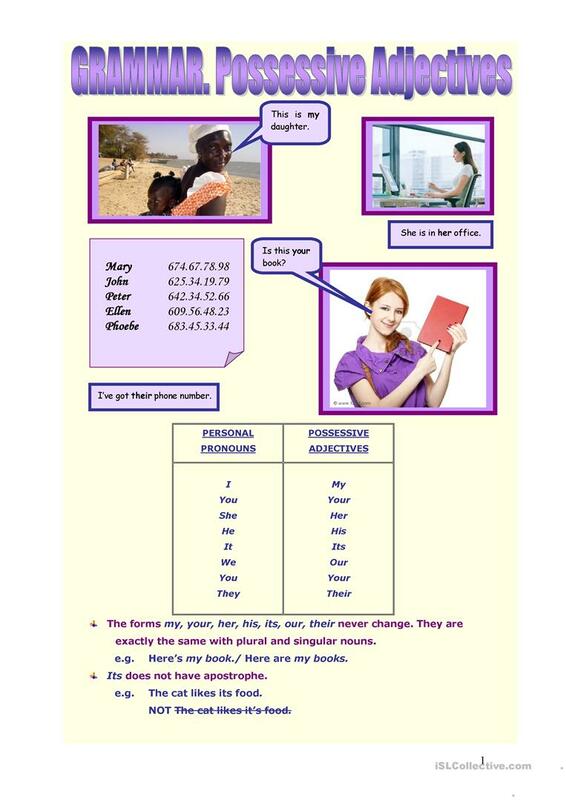 It is great for revising Pronouns: Possessive pronouns (e.g. my, mine) in English, and was designed for working on your groups' Writing skills. Ana70 is from/lives in Spain and has been a member of iSLCollective since 2011-11-14 10:35:59. Ana70 last logged in on 2019-01-10 11:41:03, and has shared 1 resources on iSLCollective so far.